This card is developed by the SuperCard team and despite being a SLOT-1 device, it is only compatible with microSD cards. 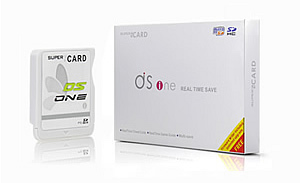 The SuperCard DSONE made up for the flaws of its earlier version by upgrading its models to be SDHC compatible. With the new upgrade, games are now compatible with slower microSD cards that was the biggest issue with the older SuperCard version. This latest version of SuperCard DSONEi now has features such as cheats, save, and game guides all in real-time. Moreover, the developer also released another version, the DSONEi, that is designed to be compatible with the new Nintendo DSi. This new version has a firmware writer to have it easily updated when Nintendo blocks outdated flash carts. DSTWO has just been released as a follow up to DSONE and DSONEi and it already has a GBA/SNES emulator. Nintendo DS is not just about games; you can also load it with homebrew applications to make it one versatile portable gaming device. However, since it is marketed primarily as a gaming device, users are always on the lookout for games. Each DS game can cost around $30 to $50, so it becomes inevitable to utilize Nintendo DS ROMs. To do this, you need to have a bit of technical knowledge and a reliable flashcart. The recently-released SuperCard DS One v3 is getting a lot of praises from users. What sets it apart from other flashcarts is that the SuperCard DS One v3 makes use of Slot 1 of the Nintendo DS. As such, it has the exact same size as your DS cartridge, so it fits perfectly into the slot, without any part of the card protruding. The SuperCard DS One v3 is only available in white, so it may look a bit off if your DS is of different color, but that’s really a minor annoyance. 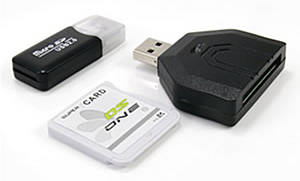 It comes with a Micro SD card reader and a tiny brochure to guide your through the setup. The packaging and outer appearance are quite impressive, but to determine if the flashcart lives up to expectation, the main gauge is the performance. Testing the SuperCard DS One v3 several popular homebrew games and applications, it worked perfectly fine without major problems. The ultimate test was on the ROMs and the SuperCard DS One v3 performed as expected. It can play and save the games without any fail.